We've got some terrifyingly terrific jackpots here at Cupcake Bingo – like our Spooktacular Jackpot! 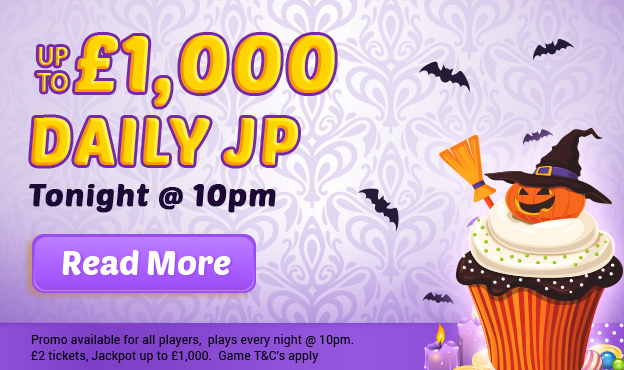 You can play for up to £1,000 every day @ 10pm in our (possibly haunted) Spooktacular Jackpots room. Tickets are just £2 each for this 75-ball game, but the jackpot could grow all the way up to £1,000! Prizes are dished out for Full House, 1TG and 2TG. Pre-buy your tickets for the next game now!